You are currently browsing the tag archive for the ‘delivering’ tag. Well I am back. It’s a while since I posted anything on my website. So it’s sunny outside and I think I may go out in the garden and mow my lawn so this will be a small blog. I just thought I would have a go at making a rag doll that would be perfect for a little girls birthday cake. It’s around 5 inches in height and took around 4 hours to create. This cute little rag doll is made entirely of modelling paste. I first started with the legs then attached the feet. Putting a stitch effect around the booties to emphasize that is a rag doll made of fabric. I used a lollipop stick to hold the body to the top of the legs and hold the body up straight. Using embossed rolling pins I then dressed the model body with a pretty skirt and worked upwards towards the shoulders. Just getting the basics down, I moved on to the arms and hands with more stitching embossing using another lollipop stick to hold the arm up (I had to prop this up for 24hrs to dry and hold). Making the face was fun and enjoyable – just to see what I could do – I surfed the net to get an idea of what rag doll faces were attractive and put my own stamp on it. 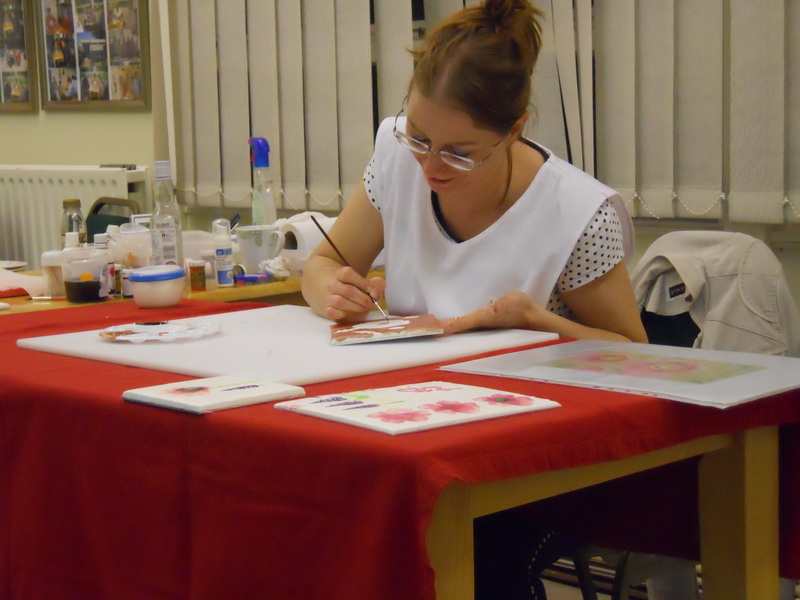 All the pretty flowers, dots and detailing were the last job of the day. I also am thinking of making a little boy rag dog in blue to match at some stage. 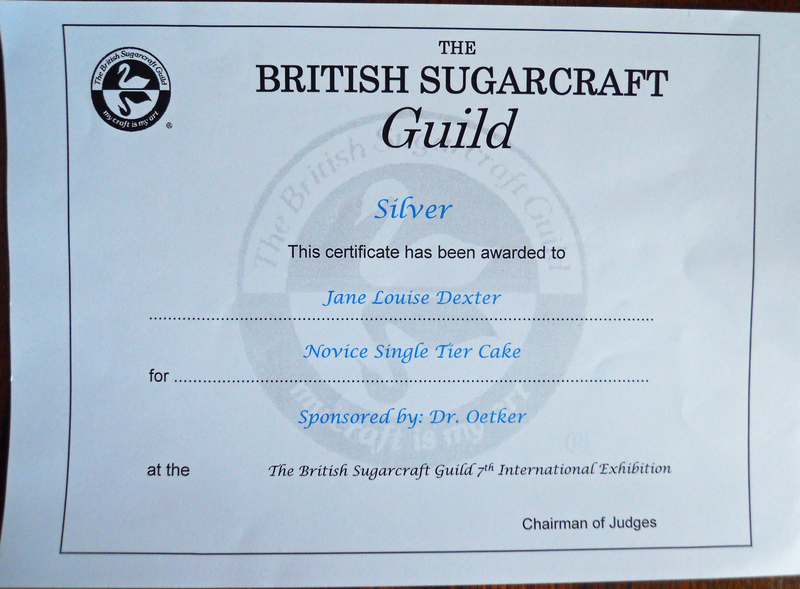 I am now an accredited British Sugar Guild Demonstrator (BSG) after passing my final assessment. 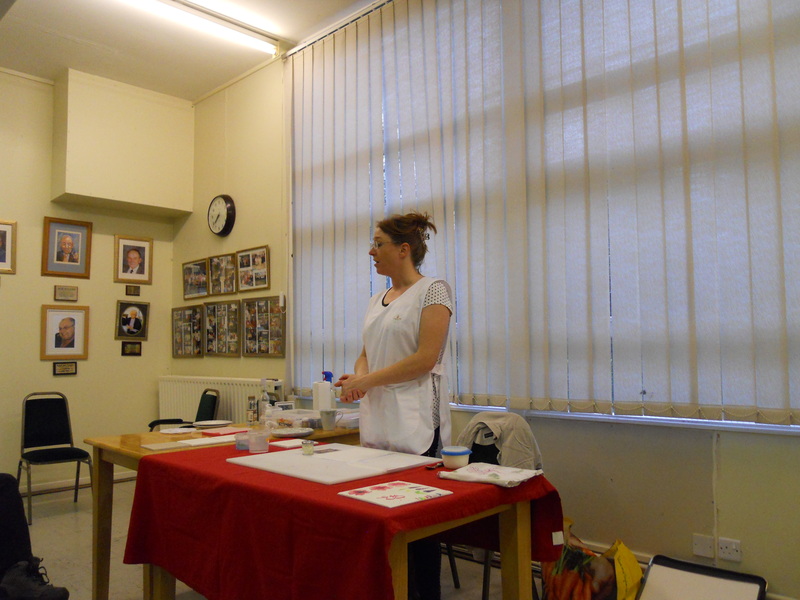 This means I demonstrate to a high standard following the guidelines outlined by the BSG so you get a more interesting, pleasant and informative experience. 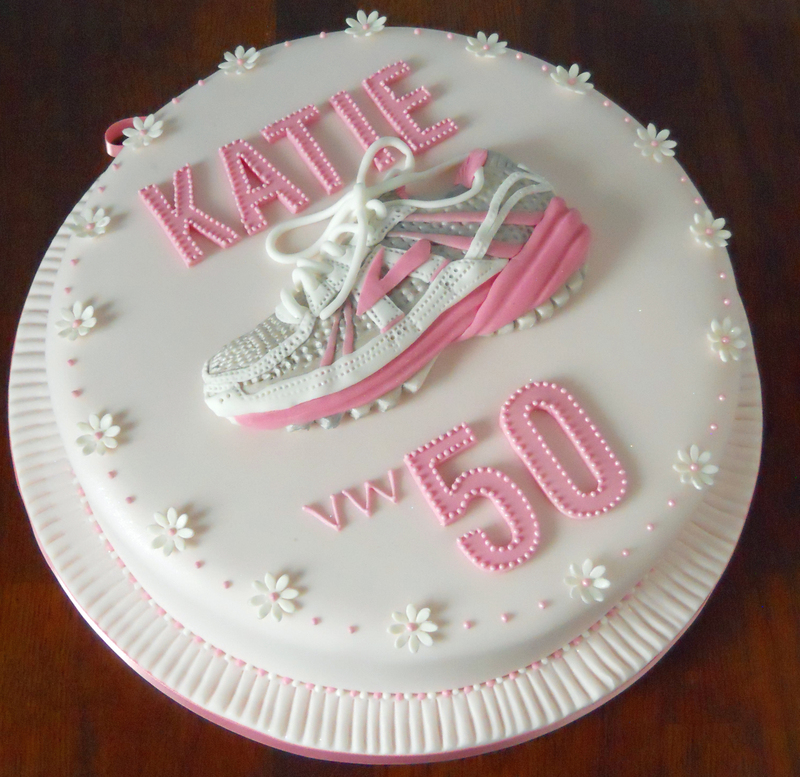 The lady I designed this cake for has taking up running marathons in the last couple of years so for her 50th birthday she wanted to celebrate it with a special cake. 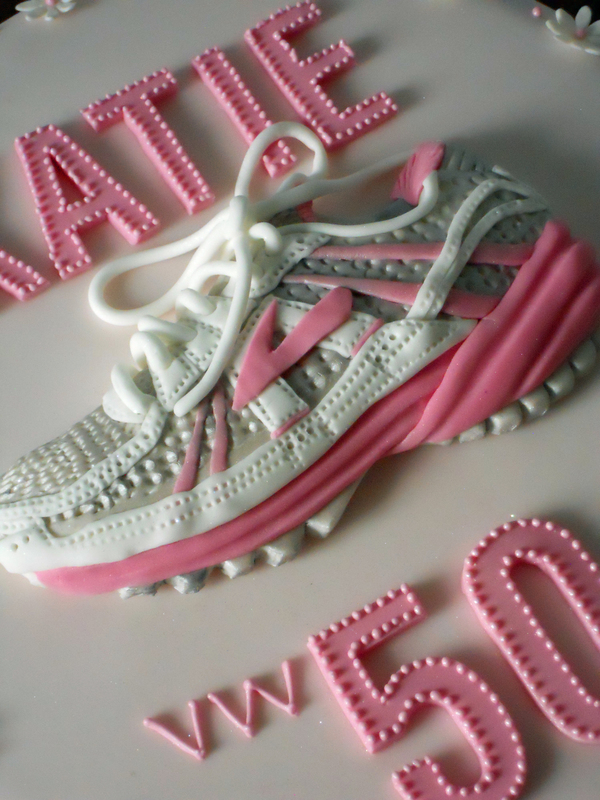 The handmade running shoe (trainer) was created without any use of moulds – just sculptured from viewing a photo of her actual shoe. 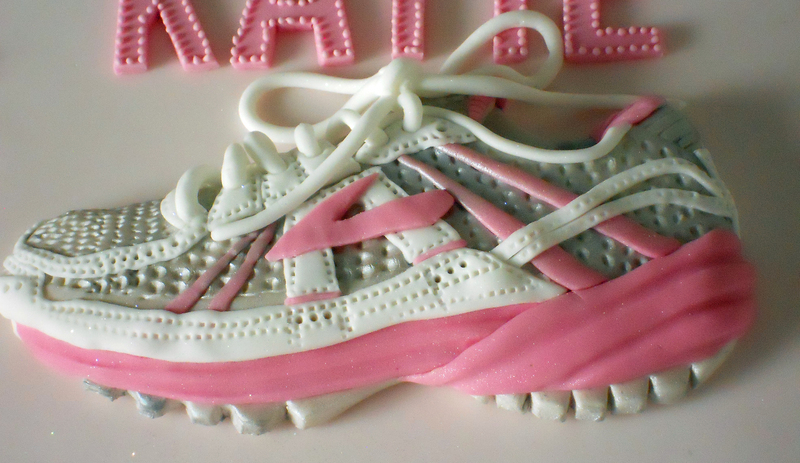 The shoe’s pink, grey and white colours are continued around the rest of the cake. The ‘VW’ stands for Veteran Women running category. Dainty flowers were arranged around the edge to frame the centre piece. If you’d like me to decorate a similar cake for a special occasion then please feel free to contact me for a quote. 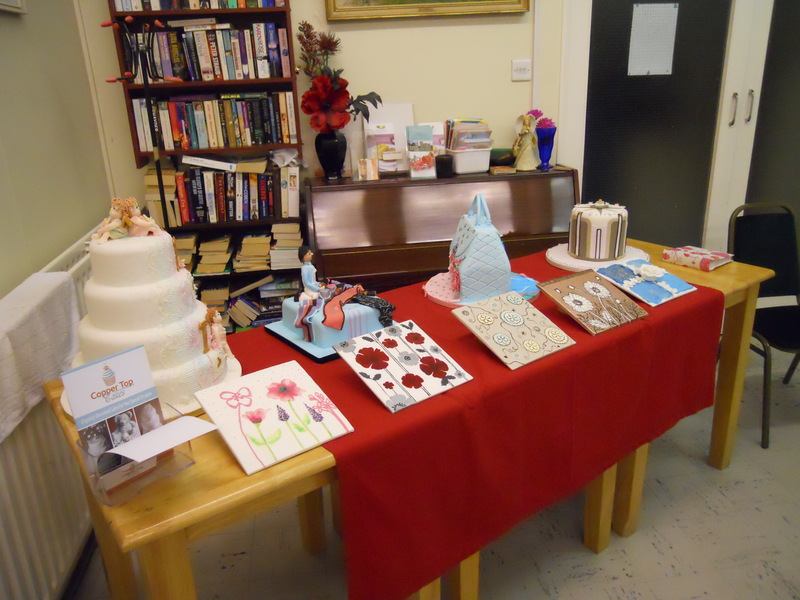 Copper Top Cakes is based in Nottingham and delivers the East Midlands area. After spending around 40 hours on my competition piece for the British Sugarcraft Guild International Exhibition this weekend, I have achieved a ‘Silver Award’ for my ‘Night At The Theatre’ cake in the section for 1st time entrants. 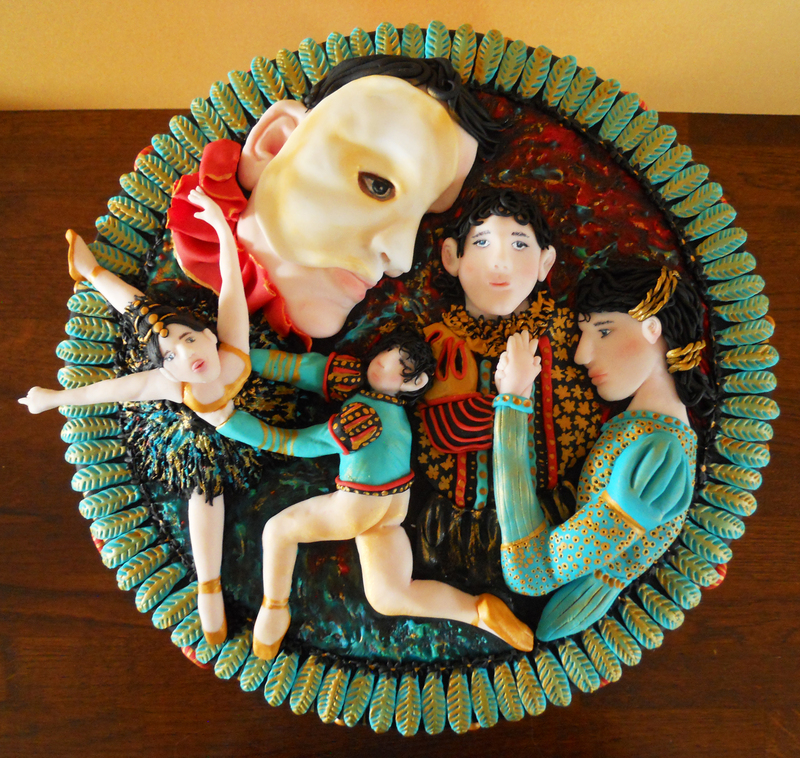 I created a hand sculptured montage on the Phantom of the Opera, Romeo and Juliet and ballet dancers for the show piece on top. 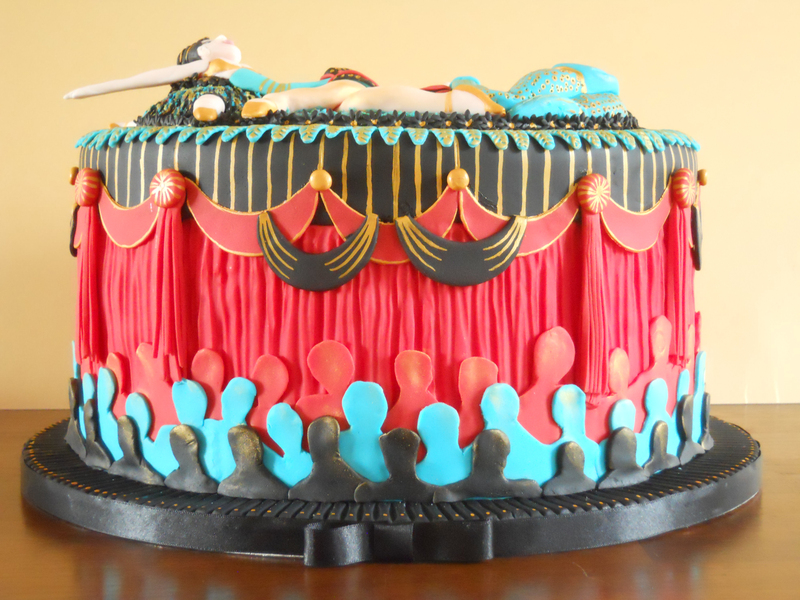 Dazzling colours of red, turquoise, black and gold emphasised the dramatic scenes on this cake. The vibrancy and contrast of these colours mirrored a theatres elaborate decoration where the acts are played out on stage. 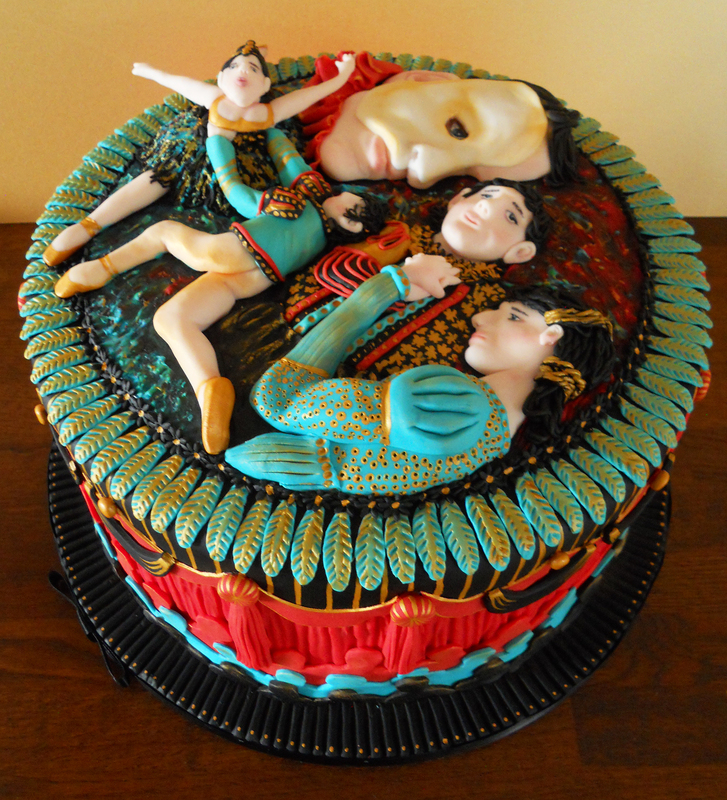 The side of this extravagent cake is filled with an entranced audience watching the actors perform. The whole cake is then set aglow with gold paint all over to capture the richness and atmosphere of the old theatres. For my ‘Silver Award’ I received a certificate and I am thrilled to bits. If you would like me to decorate a cake for your special occasion I can deliver to the East Midlands area, Nottingham, Derby, Leicester etc.